Paramount has provided us with an exclusive clip from Flight, debuting on Blu-ray and DVD February 5th. One of the most memorable moments in this gripping drama is a scene where pilots Whip Whitaker (Denzel Washington) and Ken Evans (Brian Geraghty) completely invert their commercial aircraft to avoid a tragedy. This exclusive segment from the bonus features includes interviews with screenwriter John Gatins and flight trainer Larry Goodrich describing actual incidents where these massive planes have flown upside down. 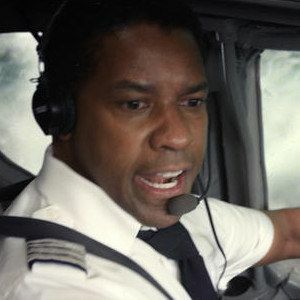 Hailed by critics and audiences alike, Flight is directed by renowned filmmaker Robert Zemeckis (Forrest Gump, Cast Away) and stars the incomparable Denzel Washington in a performance that "will be talked about for years" (Peter Travers, Rolling Stone) and has earned him Golden Globe, SAG and Critics' Choice award nominations. Written by John Gatins, the film tells the story of Whip Whitaker, a commercial airline pilot who miraculously lands a plummeting airplane during a breathtaking sequence described as "the hairiest, scariest, most realistic, and thrilling plane crash in movie history" (Richard Corliss, Time). But despite his heroics, Whip comes under investigation and begins what may be an even more harrowing personal descent. Flight also boasts an exceptional supporting cast including John Goodman, Don Cheadle, Kelly Reilly, Bruce Greenwood, Melissa Leo and Brian Geraghty.